2 month continuous cleaning treatment for systems rated up to 4,000 CFM and up to 10,000 CFM. Cooler Guard keeps your cooler clean and scale-free. No work required! 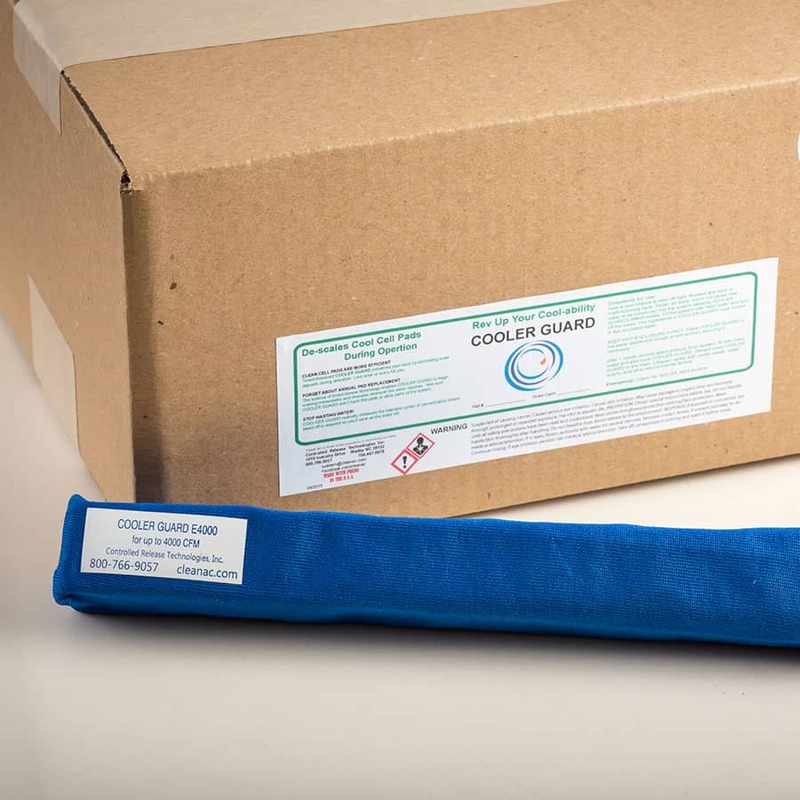 Cooler Guard time-released evaporative cooler cleaning treatment helps keep coolers and pads clean by releasing cleaning agents, dispersants, and descalers into the recirculating water. Cooler Guard is timed-release maintenance for evaporative coolers and works continuously in the cooler water, keeping the unit clean. Just unwrap it and drop it in!